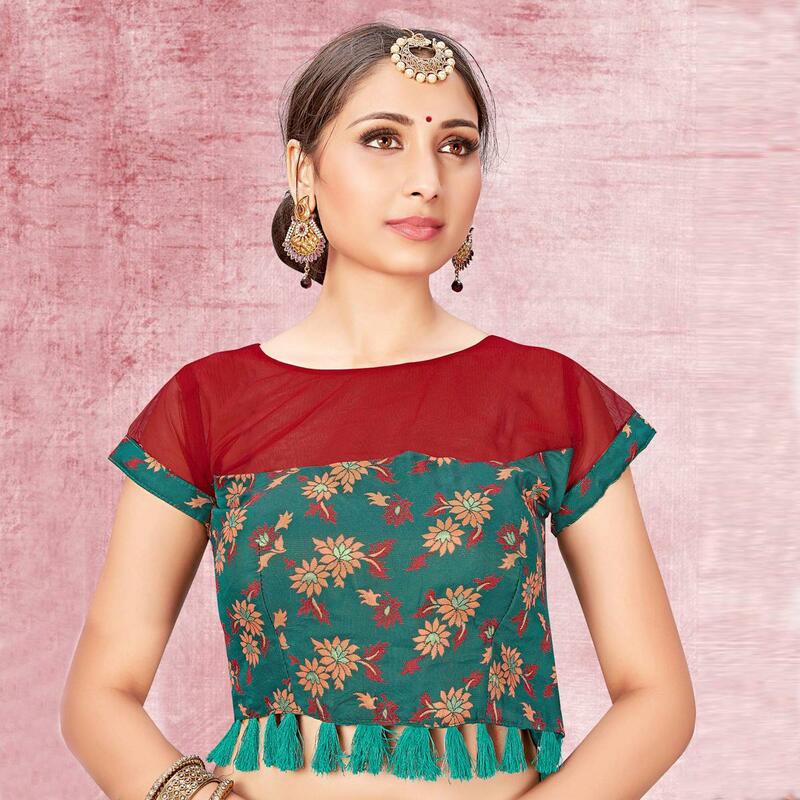 Reign any occasion in this stunning teal green colored blouse. 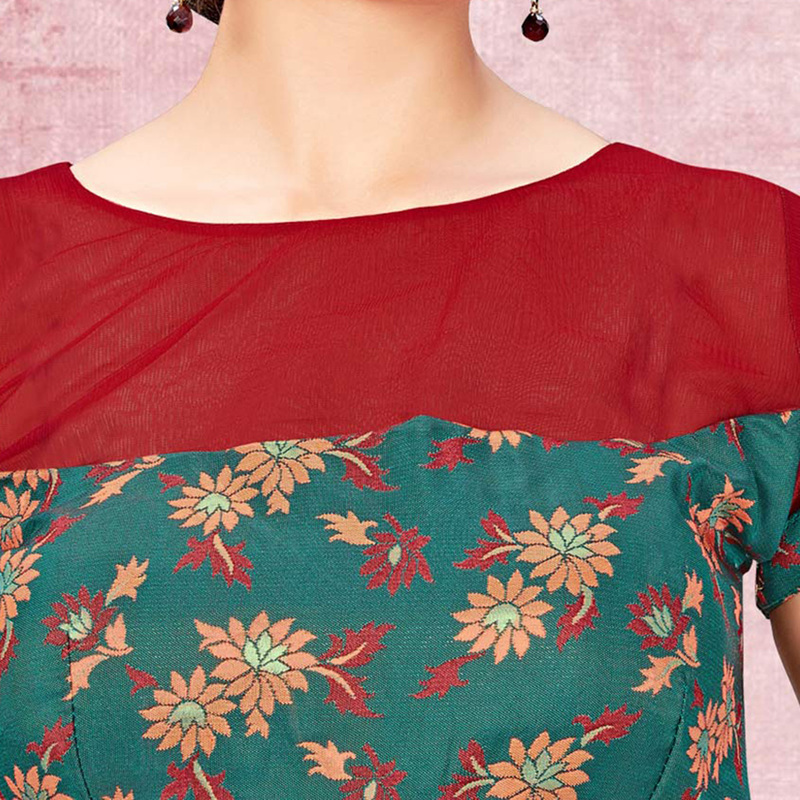 Accessorize it with a matching or contrast saree or a lehenga and be ready for the compliments. This blouse has jacquard fabric. Stylised with round neck, prints, short sleeves, fringes at bottom and side invisible zipper for fastening. It's a padded blouse which makes you feel comfortable all day long. Its unique design and beautiful color will fetch a lot of second glances as you club it with pumps and flashy accessory.